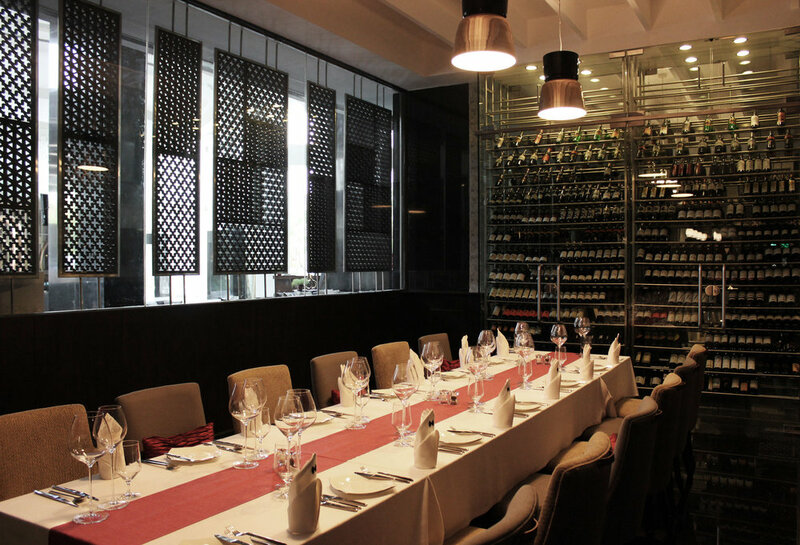 Alloro is an Italian specialty restaurant. 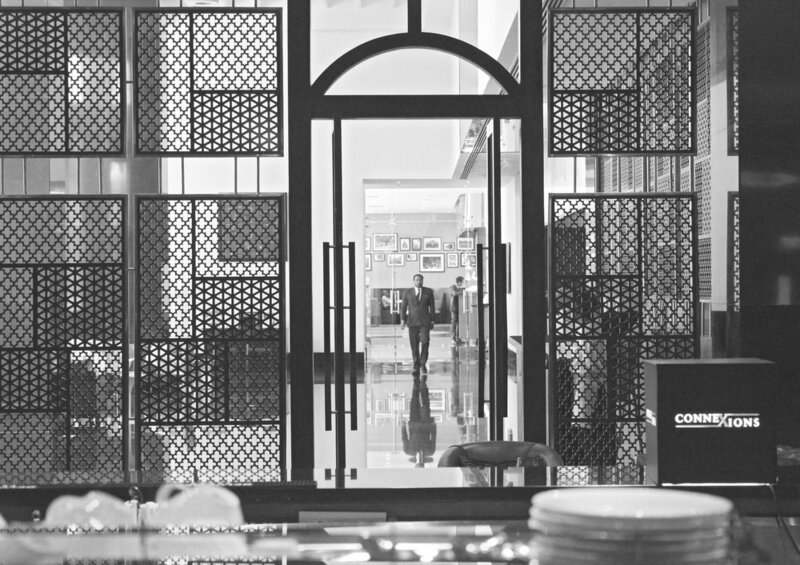 The aesthetic identity of the restaurant is reminiscent of an Italian ‘Living Room'; a warm and refined space with dramatic marble flooring and counters and dark wooden paneling. 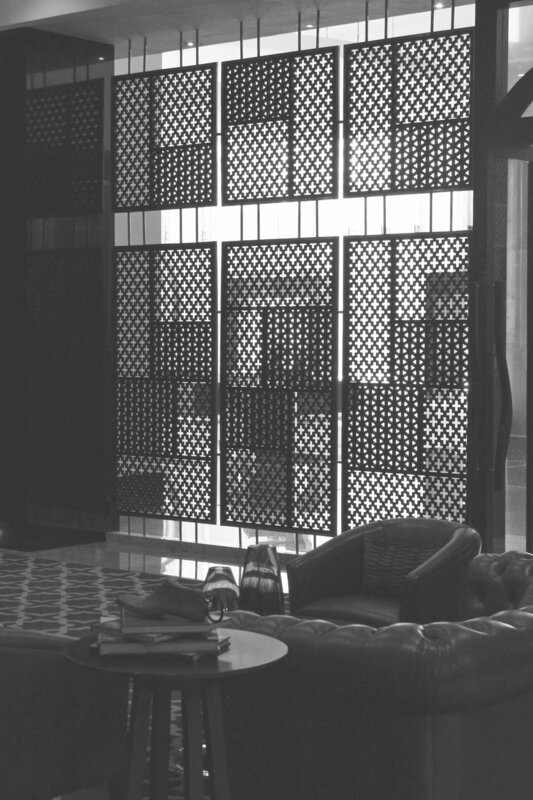 A four metre high perforated screen featuring a combination of patterns, forms the entrance and also travels into the restaurant, carving out a private dining area within. 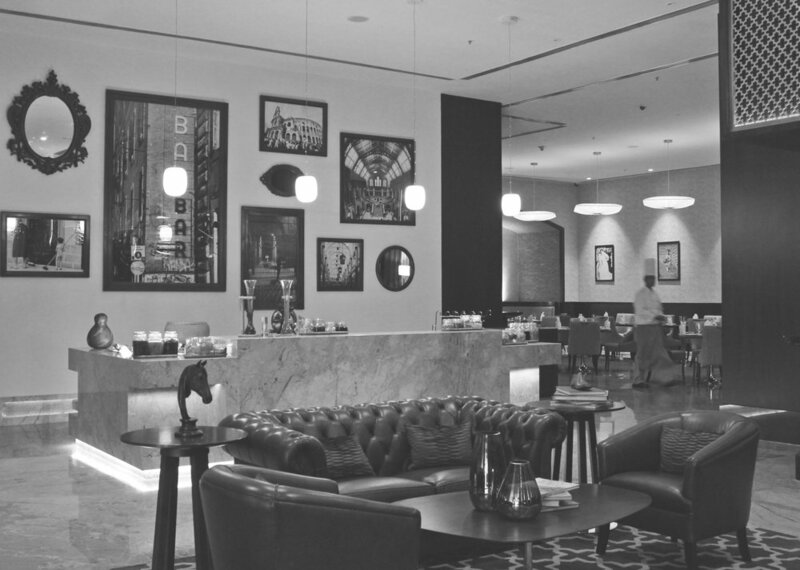 An aperitivo lounge with an antipasti counter forms the heart of the restaurant. The main dining and private dining areas flank this space.